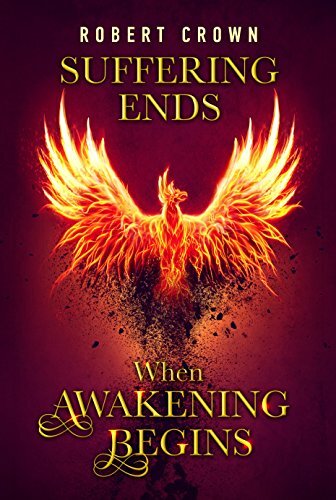 As a reader of Robert Crown’s Suffering Ends When Awakening Begins, from the moment I started reading to closing the book, I was completely hooked. The mix of of suspense and the unknown along with themes of death, betrayal, and loyalty is a great example of the new age and spirtuality genre. Crown does an amazing job at writing this inspiring true story whilst still inflicting a sense of uncertainty and eeriness to his readers. Suffering Ends When Awakening Begins is based on a true story about childhood and growing up. A book complete with struggle, hardship, journies, and belonging. Robert Crown attempts to captivate his readers by using a dark childhood to demonstrate the importance of positivity and embracing the future. What really enticed me whilst reading this book is the narration. The first person narration created that extra appeal. Reading an account of a person’s life really puts things into perspective for me. I love this idea that you can really learn from someone else’s life experiences, no matter how far away they are from your own. For me, the book acts as a great reminder that no matter what you face in life, you will be able to conquer anything you set your mind to. No matter the hardship, no matter the isolation, no matter the fear, everyone has a tough interior – they just need to find it and use it! Although Suffering Ends When Awakening Begins provides an epic depiction of the author’s challenges in life, we are also subject to a particular thought process. As I was reading I was constantly thinking to myself: if he could overcome these tragic moments in life, then so can I. This book left me feeling a sense of positivity. Although I have no idea what the author’s events could possibly have felt like, I felt as though my own struggles in life really help you to connect to the author and to the narrative. The writing is clear and focused, which has a heavy focus on descriptions and impact. The writing provides a clear account of how one’s life can be instantly turned upside down. The writing assumes that, despite the rollercoaster ride of events, you can still come out of it a much stronger, happier person. This is something I think that everyone longs for, isn’t it? And reading this book is a great demonstration of just that! Suffering Ends When Awakening Begins was by far one of the best books I have read for a long time. It has everything – originality, a clear thought process, a personal touch. For this reason, and all of the above, I would like to award this book an extremely deserving 5 out of 5 stars. I could immerse myself in the events of the book, and despite not actually going through these events myself, I felt as though the author described them to the point that I felt as though they were real and emotional. I have very little negative points to say in regards to the book. 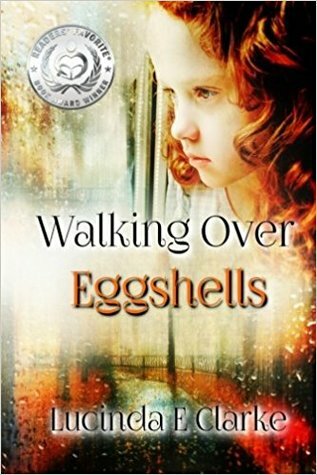 The writer expertly conveys themes of betrayal, relationships, past vs. future and childhood. An emotive, beautiful piece of personal writing brought to you by Robert Crown. A fantastic read for anyone who enjoys themes including life experiences, childhood, longing, journeying on, and betrayal. This book is bound to get your heart racing whilst putting you on the edge of your seat!